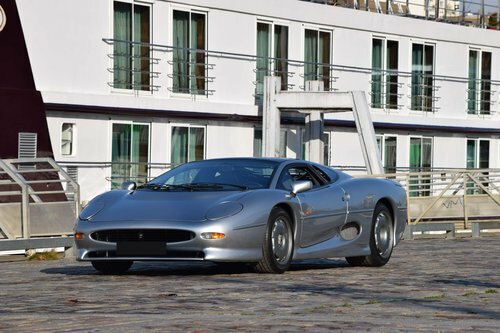 First introduced as a concept car by a team led by the company's Chief Engineer Jim Randle, the Jaguar XJ 220 was almost explored as a "sideline", simultaneously with more standard and official projects. In 1988, the team unveils their "baby" in front of company boss John Egan and it is then decided that this exceptional car would be showcased at the Birmingham Motor Show the same year. Highly well-received by the public, the car is therefore put into production to a limited number of 350 units. 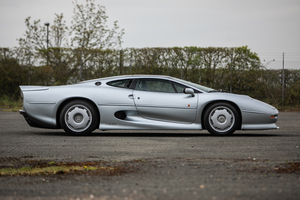 Thanks to its meticulous design, the Jaguar XJ 220 consequently enters the very exclusive "over 300" league, reaching in fact a staggering 320 km/h. 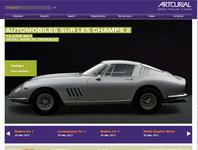 Even with a price tag of 3.5 million francs, buyers are fighting each other over it. Delivered from 1992, a final total of 281 examples will be produced. The car we are offering (serial No 42) was delivered new to Jaguar Paris after coming out of the factory on 22 September 1993, before being returned to England unsold. It is only four years later, as stated in its service logbook that the car will finally be sold new to Paul Baines by Jaguar Hartwell in Bristol. Its Jaguar Heritage certificate attests the original "Spa Silver" colour combined with the "Smoke Grey" leather upholstery. Purchased from its first owner in 2014 through a specialist dealer and with only 1,050 km on the clock then, this supercar possesses a transparent history and a consistent servicing. A first service at 992 km was carried out in 2001 and a second one was done at 1,030 km less than two years later. In 2016, the car is thoroughly overhauled by English specialist Don Law: the engine was removed, the distribution replaced, the ignition and fuel supply redone, the clutch amended and the braking system revised. Fuel tanks, immersed pumps and filters were also replaced, totaling the amount of work at a cost of €38,000. Displaying 1,248 km during our inspection, the car has not been driven much on the road since then and our test drive revealed that the vehicle is in good running order. Only the original tyres, which show little use, would be worth replacing, should the car be used more intensively. 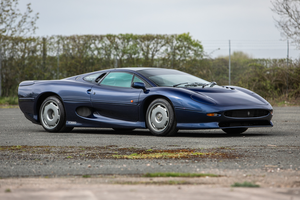 In exceptional condition and delivered with its cover, first-aid kit, both keys and the service logbook with original record, this Jaguar XJ 220 turns out to be even more desirable as it remains today the only affordable supercar. This true road prototype keeps on being the brand's last "homemade" masterpiece, offering extraordinary sensations and a breathtaking design.